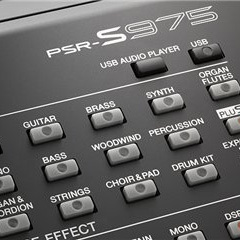 AC-PSRS775 Brand New Yamaha PSRS775 Keyboard Get exclusive benefits such as expert help in expanding the PSR S770 + Personal guidance through 100s of extra bonus S770 styles received on the special A&C Hamilton USB stick. 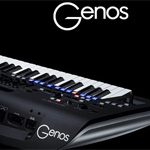 AC-Genos The Yamaha Genos is the ultimate Yamaha keyboard with brand new technologies making it easy to use, versatile and sound just like a real band. Get your free 5 year warranty, free expansion pack and free unique bonus software. Part exchange deals available. 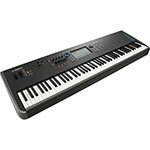 AC-PSRE463 The Yamaha PSR-E463 is a great all round keyboard ideal for all music types and perfect for the beginner. Come and try in store and speak with our experts. 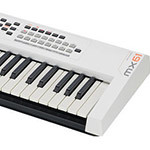 AC-MODX6 The MODX6 is a 61 note synthesizer derived from the Yamaha Montage 6 technology. It has a large colour touch screen interface, Superknob control, highly portable, world class sound source and powerful DAW integration features. AC-Montage7 Yamaha Montage 7 synthesizer with new version 2 software. The Montage now offers an incredible pallet of sounds with over 35 years of development. It is the largest selection of high quality crafted sounds with the most detailed sound edting and processing system available. This is the ultimate synthesizer. Finance and part exchange available. AC-MODX7 The Yamaha MODX7 is a 76 note lightweight synthesizer with AWM2 and FM-X sound engines offering professional level sounds and features. Finance and part exchange available . 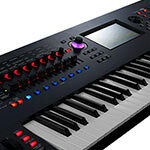 AC-Montage8 The Yamaha MONTAGE 8 Synthesizer offers unprecedented ways for keyboard players to control and interact with sound.Versatile Motion Sequencing, touch screen display, smooth sound switching and USB audio interfacing are just some of the powerful range of features. A pure FX-X engine along with a second AWM2 sound engine can be combined for the most un-imaginable sounds. Part exchange welcome. 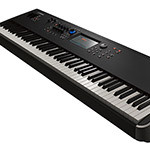 AC-GenosRF The Yamaha Genos is the ultimate Yamaha keyboard with brand new technologies making it easy to use Yamaha Genos Refurb models have a 2 year warranty. Part exchange deals available. AC-CMX88BKUK The Yamaha MX88 now with gigbag and Yamaha MX premium pack with Dance Pro sounds. Fantastic portable 88 not synthesizer. Finance available. AC-GenosBundle Brand New Yamaha Genos including GNS-MS01 amplification systems. Call us for a great Part-Ex deal. 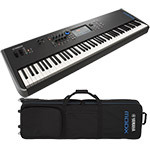 AC-MODX6Bundle2 The Yamaha MODX6 and softcase bundle is everything you need for top class sound and safe transportation of the instrument with a perfect fit Yamaha case. Finance available. 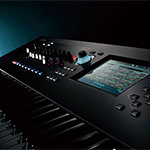 AC-Montage6 Yamaha Montage 6 is a flagship product utilising FM-X and AWM2 sound engines. Incredible sound control is taken care of with the Super Knob controller whilst the montage itself offers some of the most advanced sounds and DAW integration on the market. Finance and part exchange available. 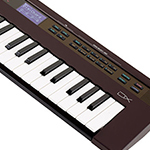 AC-PSREW410 The Yamaha EW410 is a superb 76 note keyboard with modern features perfect for learning to play keyboard and piano styles. Play with USB audio and even record yourself at CD quality among many other features.. Finance available. 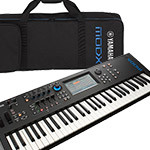 AC-MODX7Bundle Get the popular Yamaha MODX7 synthesizer bundle with the official FC3A half damper pedal and FC7 foot controller allowing hands free use fo the powerful super knob feature. Finance available. AC-MODX6Bundle Yamaha MODX6 synthesizer with the FC7 foot controller for Superknob control and other features. Great value bundle. Finance and part exchange available. 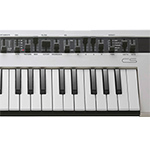 AC-P45 The Yamaha P-45 has a graded hammer piano-feel action and a high-quality stereo piano sample. Perfect for beginners and experienced musicians alike! Wooden Stand is optional. AC-refaceYCRF Yamaha Reface YC Refurbished - Great condition with full 2 years warranty. 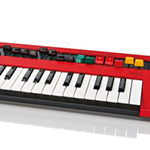 37 Note keyboard. Reface YC is an amazing portable organ with top class sounds. Order now for fast delivery. 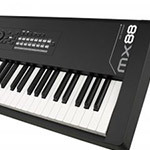 AC-CMX88BKUKRF Yamaha MX88 Synthesizer Refurbished - Full manufacture warranty and original packaging included. 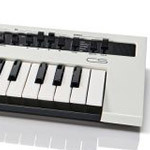 A fantastic 88 note piano weighted synthesizer with high quality sounds. Perfect for on stage or in the studio. 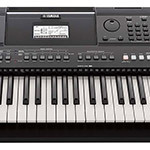 AC-PSRS775RF Yamaha PSRS775 Keyboard Refurbished by Yamaha . BargainGet exclusive benefits such as expert help in expanding the PSR S770 + Personal guidance through 100s of extra bonus S770 styles received on the special A&C Hamilton USB stick. 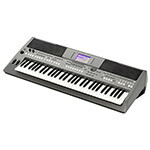 AC-refaceCSRF The Yamaha Reface CS B-Stock is excellent condition and great value. This tiny synth paks a mighty sonic pallet and hands-on controls. AC-MODX6RF This Yamaha MODX6 was used for show, comes with original box, full yamaha 2 year warranty and is in great condition with the odd tiny little mark with original manuals. Finance available. 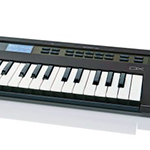 AC-EZ220 The Yamaha EZ220 is the perfect keyboard to make learning to play fun! 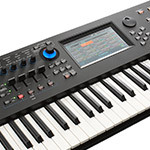 You can get playing immediately even if you have never touched a keyboard before, with built in wireless connectivity to the free Yamaha Page Turner app for the iPad. 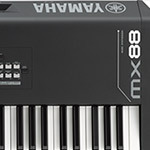 AC-MODX8 The Yamaha MODX8 is an 88 note piano action synthesizer with incredible sound capabilities and powerful DAW integration. It takes its capabilities directly from the Yamaha Montage but Its lightweight design makes it an ideal portable synthesizer for live and studio work. Finance available. AC-MODX8RF The Yamaha MODX8 Ex-Demo model is in great condition complete with original box, manuals, full warranty and Cubase AI. Great value. Finance and part exchange available. AC-MODX7RF This Yamaha MODX7 is excellent condition after being used for a show. It comes with original packaging, full 2 year warranty, bonus software and Cubase AI. Finance and part exchange available. AC-MX49IIBUUK Yamaha MX49 II Blue (version 2). Over 1000 AWM2 sounds, DAW and iPad conectivity, ultra portable, relatime controllers, USB Audio/ MIDI playback and record. Finance available. AC-refaceCPRF The reface CP is a mini key powerhouse with incredible high quality piano and e.pianos based on the original Yamaha CP. Connect with other users for free soudn settings using Soundmondo. 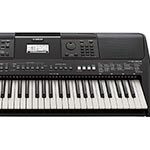 AC-PSRS670RF The Yamaha PSR-S670 is a magnificent keyboard offering all the features you need from beginner to professional. Our refurbished S670 comes complete with 2 year warranty and in excellent conditon with free bonus software. AC-refaceDX Yamaha Reface DX - Powerful yet compact 37 note FM synthesizer. 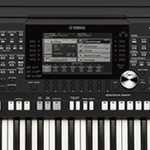 Yamaha Reface DX is a superb synth capable of creating amazing sounds with ease. Order yours today. 2 Years warranty. AC-REFACE Get all four Yamaha reface models in the bundle - Reface CS, DX, YC and CP. Pre-order now for delivery in September. Call and speak with a Yamaha specialist. All models include 2 years warranty. 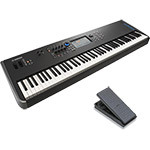 AC-PSR-E443 Yamaha PSR-E443 Portable Keyboard perfect for beginners and intermediate players. 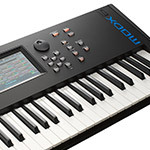 61 Notes with touch sensitive keys, built in tuition system and large selection of styles and sounds. Includes PSU. 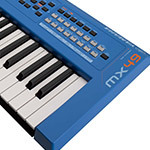 AC-MX61 The Yamaha MX61 utilises high quality sounds and DAW integration offering a complete all in one synthesizer for the studio. AC-MX49 Compact, portable and versatile, the Yamaha MX49 houses over 100 pro quality sounds perfect for studio and live use. AC-NU1 The NU1is a hybrid piano boasting a full Yamaha upright piano action inside coupled with a top quality digital sample. AC-AvantGrand N3 Yamaha Avantgrand N3 feel and experience a hitherto unattainable piano performance from this stunning and elegant instrument. 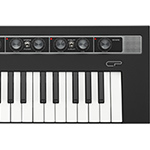 AC-refaceCP Reface CP brings back the rich sounds of the classic Yamaha CP pianos in a compact mini key unit with sounds and hands on effects. Despite its size it offers powerful features and the ability to share and load sounds created by users from around the world. 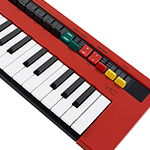 AC-refaceYC Yamaha Reface YC offers 5 vintage organ simulations in a 37 note keyboard. Reface YC is an amazing portable organ with top class sounds. 2 Years warranty. Order now for fast delivery. 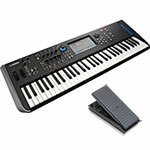 AC-refaceCS 37 note HQ mini key synth with powerful synthesis in a compact unit. Versatile hands-on controllers allow great sound flexibility and a huge sound. Finance available. 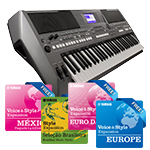 AC-Tyros3Bundle The Yamaha Tyros 3 pre-owned including MS02 speakers. 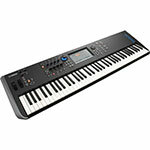 Great keyboard with warranty and free mainland UK delivery. Part exchange available. 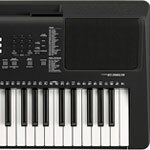 AC-PSRE363 Yamaha PSr-E363 - the ideal learning keyboard instrument for children and adults alike. 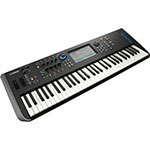 Touch sensitive keys, lightweight design and fantastic selection of sounds and styles with tutorial features built-in. A great low price keyboard. 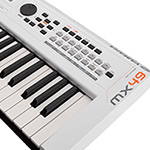 AC-MX49IIWHUKRF Yamaha MX49 II Limited Edition White - Refurbished. Versatile synth with USB Audio/ MIDI playback, recording, fantastic sounds and iOS app integration. Finance available. AC-CP4RF Yamaha CP4 refurbished portable stage piano. Premium quality voices and select sounds combined with a graded hammer action make the CP4 an essential stage tool. AC-Montage8RF Yamaha Montage 8 Ex-Demo synthesiser. Superb condition original box and with 2 years warranty and software included. AC-Montage7RF The Yamaha MONTAGE 7 synthesizer B-Stock. Full working order with full 2 year warranty. This model is excellent condition with no visible markings and perfect working condition. Also has original box and Cubase AI code. AC-MX49IIWHUK Yamaha MX49 II White (version 2) Limited Edition. New phat FM sounds with iOS App, 1000 AWM2 sounds, ultra portable, relatime controllers, USB Audio/ MIDI playback and record. Finance available.